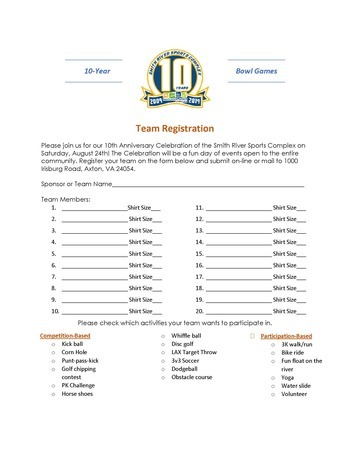 Join Smith River Sports Complex in celebrating their 10th Anniversary! The event is open to the entire Martinsville/Henry County Community, teams created by businesses, friends, families, churches or other groups will come together for a fun day of friendly competition and outdoor activities on Saturday, August 24, 2019. There will be a variety of 18 activities for a team to participate in to earn points, some will be more competitive in nature with points awarded based on the outcome of the activity, and others will be participation-based where you are awarded points for finishing an activity. The event is open to all businesses, organizations, and individuals in the Martinsville-Henry County area who want to form a team. Teams are limited to 20 people and each team must have a sponsor. A Team Sponsorship costs $250, or if 20 individuals want to form a team, they can each pay $12.50. It’s easy. 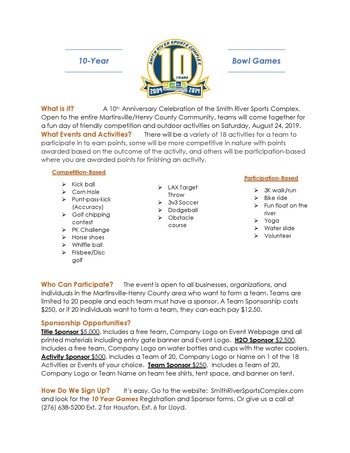 Go to the website: www.SmithRiverSportsComplex.com and look for the 10th Anniversary Celebration Registration and Sponsor forms or the event page. Or give us a call at (276) 638-5200 Ext. 2 for Houston, Ext. 6 for Lloyd. 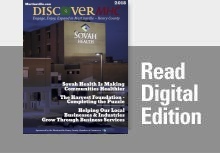 For questions, contact Lloyd Barber at 276-638-5200 ext. 6 or Houston Stutz at 276-638-5200 ext. 2.